At work, and in many areas of my life, I strive to do my best, give it my all and give 110% when possible. I take pride in my work, and have always pushed myself to see just what I was capable of. I’ve gone after promotions, raises, advancements, and kept my eye out for all new opportunities. But the day I had James Michael, all that changed. I no longer defined myself as a working woman; I defined myself as a mom. I still work hard, but I’m not focused on where that work will lead. I have made sacrifices and passed up opportunities–ones that might have been more fulfilling–because they weren’t the best fit for my little man. If moving up in the world means taking on more stress and responsibility and spending less time with James Michael, then I want nothing to do with it. I have wedged myself in a position where I can go neither up nor down, and as claustrophobic as that may sound, I’m ok with it. I have the flexibility I need to take care of JM when he’s sick or when I’m running a little late in the morning because he decided to smear his breakfast all over himself. This month, I’m cutting back my pay and my hours to 32 per week, which was a recent blessing that couldn’t have come at a more perfect time. God always seems to know right when you’re about to reach your limit, and then intervenes when you think all hope is lost. 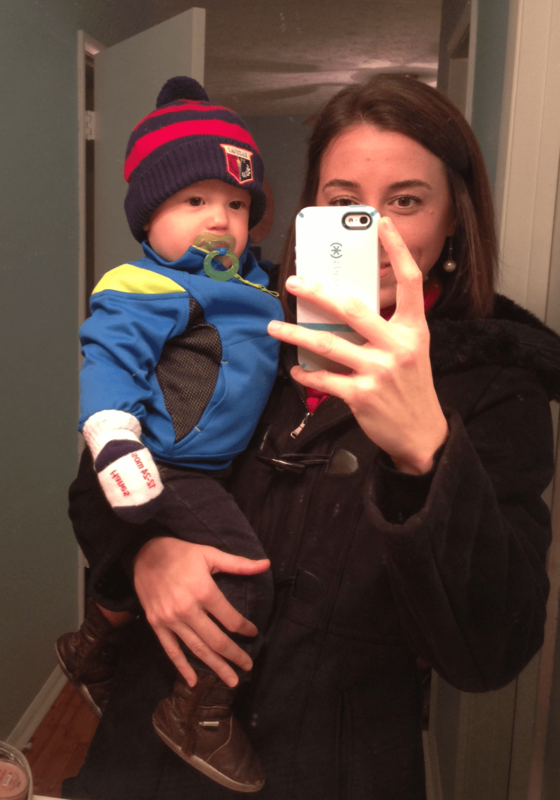 Being a working mom is still as tough for me now as it was last spring. I still question my decision, my purpose and my effectiveness (at home and in the workplace) almost daily, and remnants of my feelings in this post spring up often. With as much power as I’ve willingly given up in the corporate workplace, I’ve gained it twofold as a mom. When the days at work are hard and grating, I just remind myself of my little blessing waiting at home.